(SPOT.ph) Celebrated auteur Mike de Leon has finally made his comeback to film after 19 long years with Citizen Jake. Anyone who's watched the film starring Atom Araullo would know that it didn't pull back on the punches meant for today's political climate. After all, it is a Mike de Leon film. He's never been one to keep quiet about his beliefs, especially when it comes to his works. And the last film he made before his hiatus—Bayaning 3rd World—is no different. Bayaning 3rd World revolves around two aspiring filmmakers (Ricky Davao and Cris Villanueva) who are making a film about the life of Jose Rizal (Joel Torre), long after his death. They want to explore Rizal's views about the Catholic Church and how he supposedly retracted his negative opinions about them, which he expressly wrote about in Noli Me Tangere and El Filibusterismo. To do so, they set out to interview those closest to him, including his siblings, his mother Teodora Alonzo (Daria Ramirez), supposed wife Josephine Bracken (Lara Fabregas), and even the priest who allegedly heard his retraction, Vicente Balaguer (Ed Rocha). After asking around, the two filmmakers eventually get to ask the man himself. In a post on Citizen Jake's Facebook page, de Leon talks about how the film came about after first working on what would be Marilou Diaz-Abaya's Jose Rizal. 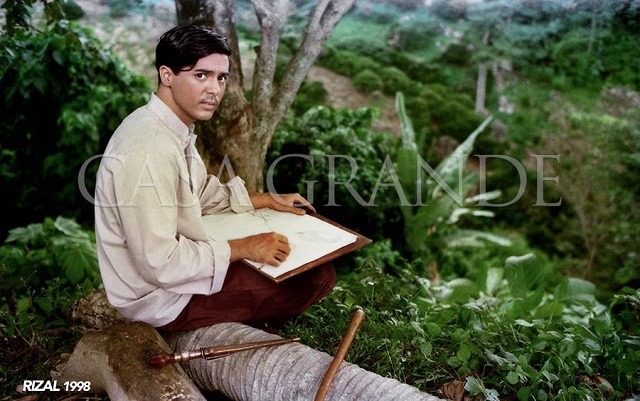 "I gave up on the humongous epic Rizal to be produced by GMA Films that would have starred Aga Muhlach as Rizal. 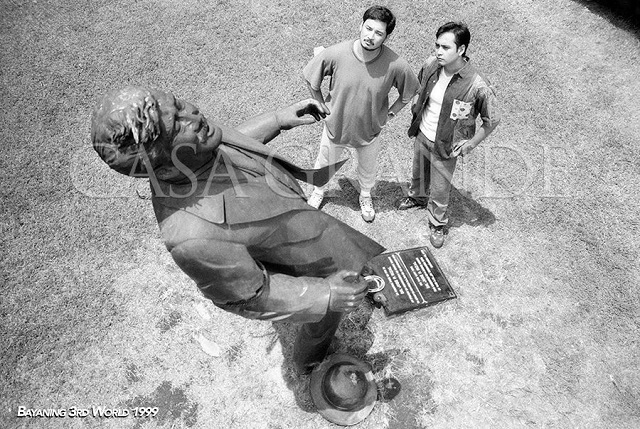 I didn’t care that Aga did not even remotely resemble Rizal." The role eventually went to Cesar Montano. "It was supposed to be a melodrama, and with the late, great actress Charito Solis playing Doña Lolay, Rizal’s mother, I thought I could make the viewer feel for the plight of this unfortunate, reluctant hero and maybe even weep—a historical tearjerker," he reveals. He explains how he got interested in the story of Bayaning 3rd World. "I refused to believe that Rizal wrote a retraction and returned to the Catholic Church of his day. I firmly believed in what Rizal wrote Ferdinand Blumentritt in 1890: That religion was the cause of all of the country’s, and perhaps the world’s miseries (this part is me, not Rizal). If Rizal were alive today, maybe he would have added politicians, entertainers turned politicians, mall operators, delusional boxers and aspiring dictators into the mix." And now, movie buffs and lovers of classic films can watch the critically acclaimed work in its entirety on Casa Grande Vintage Filipino Cinema's Facebook page. 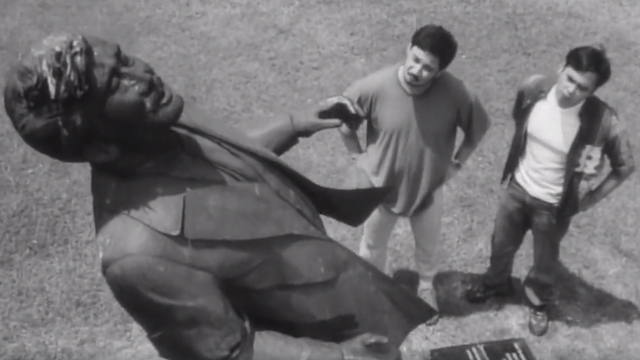 Shot in black and white, the film is available on the page in six parts, running from 15 to 16 minutes each. Today's cinephiles can now find out why the film was rated "A" by the Film Ratings Board back in 1999, why it won six awards out of a total of 13 nominations at the Gawad Urian in 2000, and why critics praise its portrayal of Rizal and Philippine history.